By reducing the harmful contents that pollute the air during emissions, we promote a safer environment for people to live in. We are pocket-friendly. Our products are highly efficient and cost effective, thereby reducing your overall costs and maximising profits. We ensure restriction on environmental release of toxins and harmful polutants in the atmosphere,doing our bit to save the planet one day at a time. 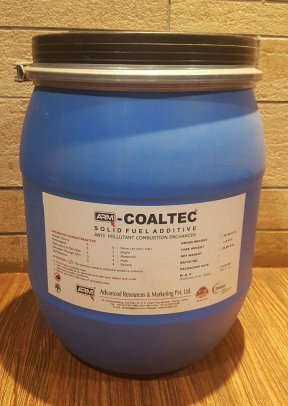 Our flagship product - Coaltec is a solid fuel additive which is a blend of catalysts, sulphur fixing agents, oxidants and other core ingredients that help in decreasing Sulphur dioxide from the furnace, increasing operational efficiency and improving combustion in boilers & kilns using solid fuel such as coal, lignite, petcoke etc. It has catalysts and corrosion inhibitors which help the other materials to perform at their highest possible efficiency. Coaltec is a one-of-a-kind product in the market today that gives such a high level of output at a very cost effective price. It is an additive customised to our clients needs. It is formulated to address the individual needs of plants having serious combustion problems and sulphur related issues arising out of using fuel with a high Sulphur content. Coaltec Plus will be designed to tackle very specific needs of the end user after complete data from the plant is compiled & interpreted by our experts. It is particularly useful in solving day to day operational issues faced by plant personnel. 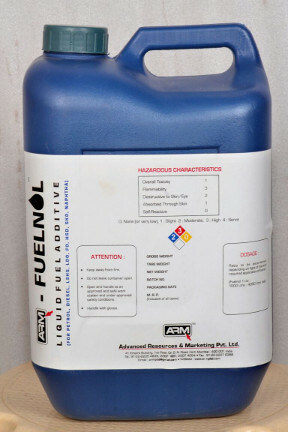 ARM-Fuelnol is a liquid blend of organic chemicals in a petroleum base. 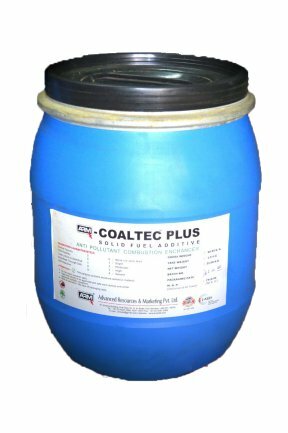 It is a fuel additive that helps achieve near combustion of fuel, thus reducing consumption and saving cost. It is fully compatible with all varieties of fuel oil. - Helps ignite the fuel. Application areas include Boilers,DG Sets and Furnaces. It also helps remove the sludge formation in fuel tanks. Upto 70% sludge recovery can be achieved.